A jelentés a GSDI honlapjáról itt tölthető le. Az anyag linkjét Neil Thomson úr kísérőlevelével a HUNAGI közvetlenül is megkapta és azt megosztja a HUNAGI tagságával és partnereivel. "The team behind Worldwide Business Research’s DGI conference have just created an insightful benchmarking report. The survey gives geospatial experts the opportunity to capture the latest thinking and identify the current trends in the Geospatial Industry. 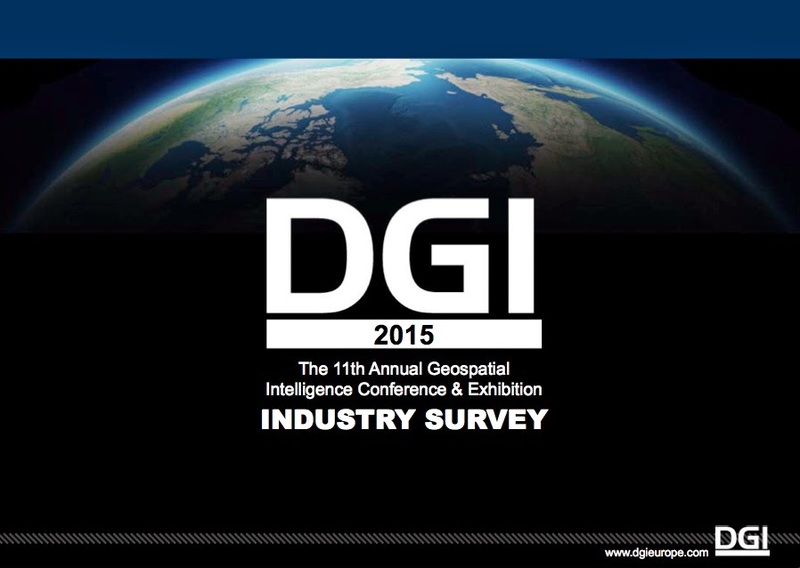 What are their biggest challenges in the Defence Geospatial Intelligence Industry in 2014/2015? Do they plan to invest in new GIS technology or upgrade their current GIS system in the next 3 years? Do they use LiDAR as a normal source for your production? Is their organization using crowdsourcing and volunteered geographic information? I thought you might be interested in seeing the report of the results. I hope you will find the report valuable and look forward to seeing you at the DGI 2015 Conference in London, 19th-21st January 2015 at the QEII Conference Centre. Posted by RFG at 7:27 du.